Prague vs Budapest – one of the most heavily searched questions on the internet, behind “why isn’t 11 pronounced onety one” and “what would happen if I hire two private investigators to follow each other”. Below, we’ll pit the two popular European cities against each other on all the main things the average 20-something traveller would want to do. Nightlife? Check. Backpacker culture? Check. A bit of culture to tell mum and dad about? Check. Read on to discover which city you should travel to for a weekend break. First up, let’s get the culture out of the way. On the face of things, both cities sound quite similar; both have a castle, a square, and a famous bridge, but that’s about where the similarities end. Prague is generally considered the more picturesque of the two, thanks to a 1,100 year history with many medieval buildings still standing today, particularly around the historic city centre surrounding the Old Town Square. It’s no wonder the city has been nicknamed “the city of a thousand spires”, thanks to the large number of gothic, baroque and renaissance style buildings. If you’ve already started researching whether to go to Prague or Budapest, then the first thing you probably saw in Google was a view of the ancient Charles Bridge, built in 1357. The bridge is an icon of Prague, featuring 75 statues along its length (at my last count) flanked by numerous street performers and buskers. While many of the statues are replicas, the fact that the bridge itself is still standing is a testament to its design all those years ago! 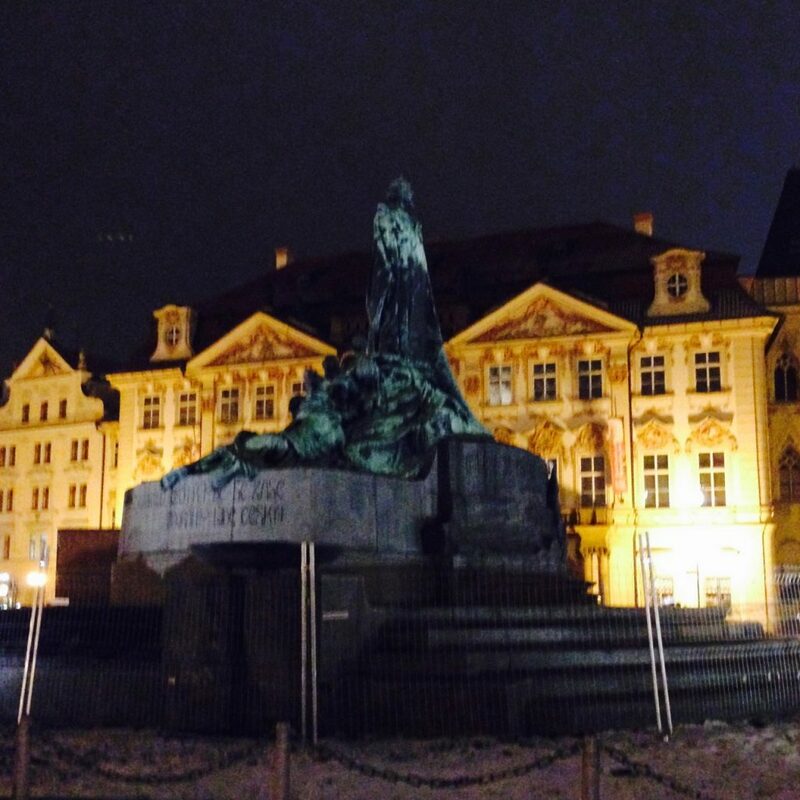 Moving across to the Old Town Square, you’ll find an impressive statue of Jan Hus, erected (giggity) in 1915 to commemorate this influential philosopher and religious thinker, born in 1369. To the people of Bohemia, he was a martyr symbolising dissidence and strength over oppressive regimes that the country was controlled by. Hus later became a historic figurehead to represent those standing against Habsburg rule in the 19th century, which is why you’ll see his statue standing defiantly against the cathedral, which had been built under Habsburg rule. He again became a symbol against the oppressive communist rule. In fact, sitting at the foot of the statue became a way to silently protest against the regime. Across to Budapest, there’s more historic sights to see. First is the Chain Bridge, the first to span the Danube and built in response to a wealthy landowner missing his father’s funeral because his boat was delayed. Seems like overkill, but clearly he had money to burn – and hopefully never missed a funeral again. Budapest also has a castle at the top of the hill on the Buda side, towering above the city. The castle was rebuilt by the communists, and lost some of its elaborate ornamentation to reflect the new communist regime, though still looks impressive nonetheless. Inside, you’ll find a museum on the history of the city and the castle itself, which had actually been destroyed and subsequently rebuilt several times, including by the Ottomans and the Germans. Like Prague, there’s a famous square too, the Square of Heroes. 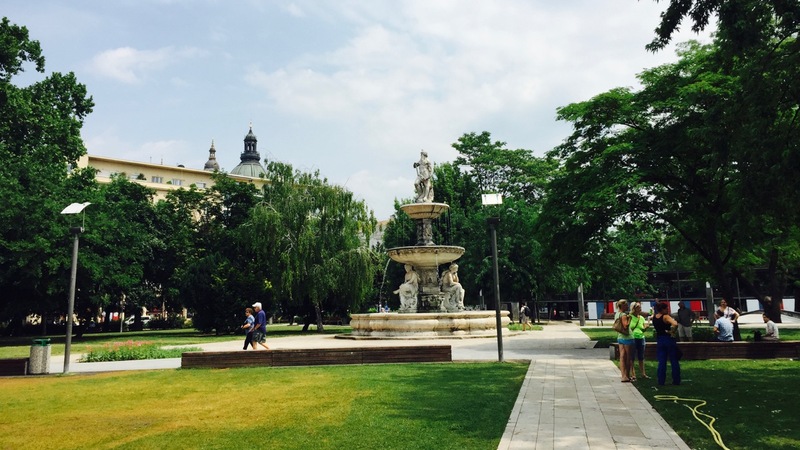 Completed in 1900, the square was built to commemorate the thousandth year anniversary of when the Hungarian tribes conquered the Carpathian Basin, which is the land that makes up much of present day Hungary. The monument is covered with statues of Hungarian kings, surrounding the central column, home to the Archangel Gabriel, who holds the holy crown of St Stephen, Hungary’s first king, as well as a double cross, which was given to St Stephen by the Pope for converting Hungary to Christianity. The best way to see the sights is to take a sightseeing tour around the city, and since you can hop on and off at any point, it’s worth spending some time to explore the square and the castle. There’s also a great view of the Chain Bridge from the river, if you take one of the many boat tours. What about the nightlife, I hear you ask? Well, both Prague and Budapest have a great nightlife scene, with clubbing districts, bars, pub crawls and more. 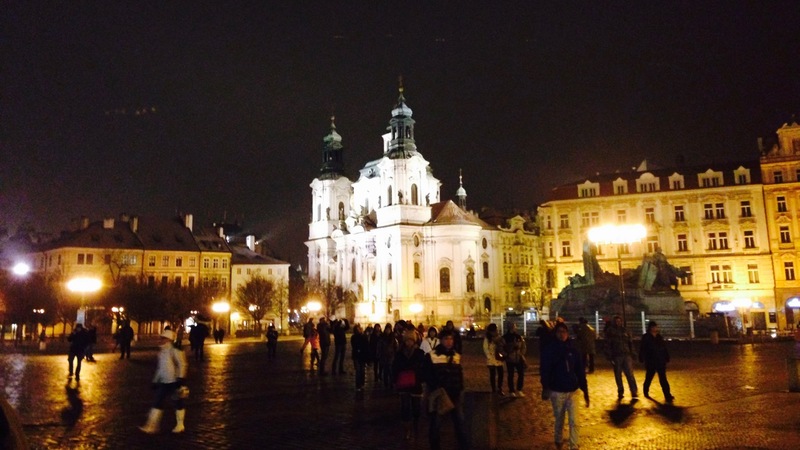 The first port of call for nightlife in Prague should be Dlouhá street. Lined with several bars and clubs, including Harley’s Bar, the Prague Beer Museum Bar and Roxy. This is the main party area, where you’ll always find something going on. Moving further afield, there’s the famous Karlovy Lazne, a huge 5 storey club with a different genre of music on each level. However, if you’re travelling in the winter, you may find some of the floors will be closed, as it’s not quite as busy. Elsewhere, there’s Radost FX, a stylish asian restaurant by day, club by night, which was heaving when we went, despite being mid-January. Moving east back to Budapest, there’s a similar wide variety of bars and clubs, mostly located on the Pest side of the city within the inner ring road. However, to really experience what makes nightlife in Budapest so unique, you must visit some of the famous ruin pubs. These are basically old, derelict buildings that have been converted into some of the most unusual pubs you’ve ever seen. Try some of my favourites: Fogasház, Füge Udvar and Szimpla Kert. If you’re up for clubbing later into the night, nothing can beat Instant, a ruin pub made out of a derelict apartment block. You’re sure to get lost in the club’s grand total of 26 rooms, with 7 bars and dance floors, each more quirky than the last. Will there be other backpackers? It’s always great to meet other like-minded travellers when abroad to have a great time with. You’ll not be disappointed in either Prague or Budapest, as both have vibrant tourist industries targeted towards 20-something backpackers and tourists from around the world. In both cities, you’ll find pub crawls, offering a great way to break the ice on a big night out. Pub crawls are especially prominent in Prague, where you’ll find reps from rival crawls patrolling the Old Town Square. I went on both, so find out what they’re like here. Meanwhile over in Budapest, there’s three pub crawls for backpackers, including the All Night Crash crawl, which meets every night at 9pm at the Oktagon. This crawl takes you around the famous ruin pubs and ends at Instant. Again, check out my thoughts in this crawl here. There’s plenty of others too, including The Original Budapest Pub Crawl, which meets at the Wombats Hostel daily at 9 pm. There’s also plenty of high rated hostels, which you can check out here. On my last trip, we rented an apartment right in the centre of Pest with Happy Hostel. While it was spartan in it’s appearance, it was good value and a perfect location. 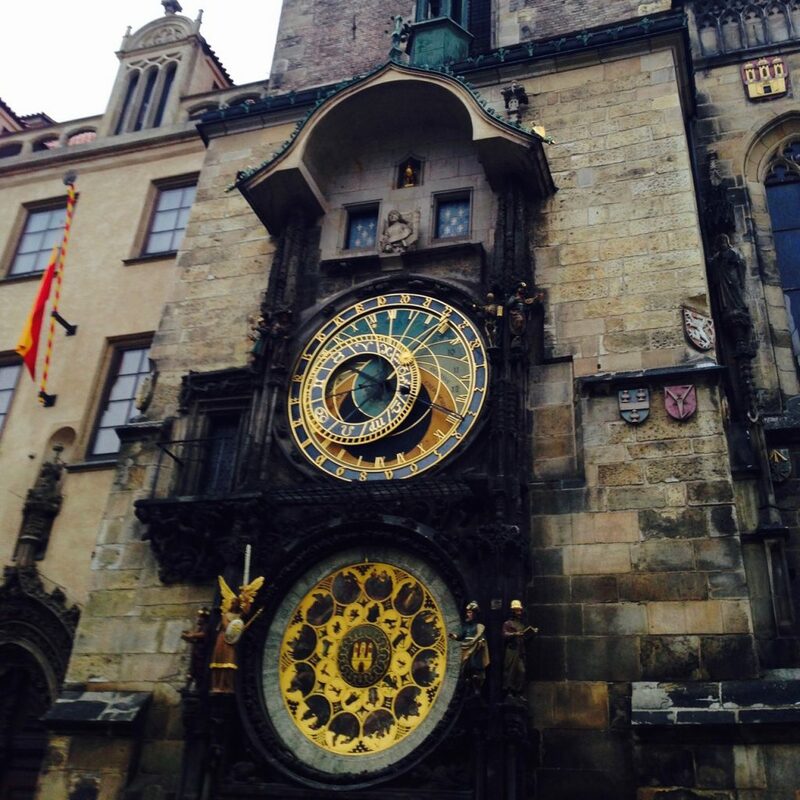 Czech beer is famous around the world, making Prague the ideal place for any beer lover. In fact, The Czech Republic is the number one beer drinking country on the planet, consuming 156 litres per capita. That’s enough for a serious hangover. Probably the most famous Czech beer is Budweiser. I know, you probably thought it was an American beer. That’s because Budweiser was the name of beer made in České Budějovice, or Böhmisch Budweis in German, in a similar way to how Pilsner comes from the city of Pilsen. The American Budweiser was made to taste like the beer in Budweis, hence the name. However, the native Czech version is called Budvar, still made in The Czech Republic by the Budweiser Budvar Brewery. Other famous Czech brands include Pilsner Urquell, from – you guessed it – Pilsen, as well as Staropramen, plus a multitude of smaller craft beers. Check out some of the best at the Zly Casy, Beergeek, Nota Bene and Sedmej Schod pubs. So why is beer so popular in The Czech Republic? Back in the days of Communism, beer was deliberately kept cheap by the authorities, believing that everyone should have enough money to afford a few pints with their friends, making drinking beer the biggest hobby in the country. Their ulterior motive may have been more about controlling the population than a love for beer, as presumably it’s hard to mount a rebellion when you could just go out on the lash instead. Across the border in Hungary, wine is the tipple of choice, with a history in the country stretching back to Roman times. As a result, Budapest is full of wine cellars and speciality wine stores, so there’s plenty of places to try the diverse range of reds and whites. You’ll find numerous wine tasting events in the city, including at Buda Castle inside it’s historic wine cellar. Why not also try the Faust Wine Cellar, where you can taste wines in an intimate environment – their cellar only has five tables, so be sure to book in advance! 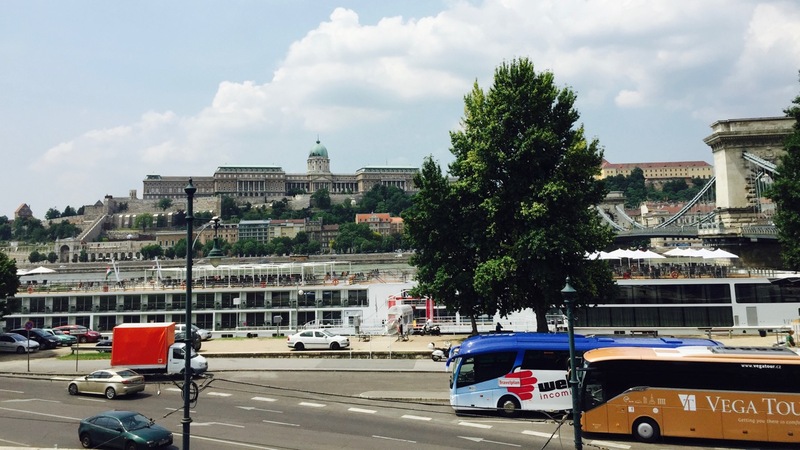 Is Budapest cheaper than Prague? Budapest definitely cheap for alcohol, according to a survey by the Post Office, whose team bought a round of the same 10 drinks in a number of European cities, finding that the round cost around half the price in Budapest compared to Amsterdam or Ibiza, costing the equivalent of just £19.76. Dublin came out as the most expensive, where the exact same round cost £55.65. So where did Prague come in this survey? Second, in fact, with the round coming to £25.91. Still cheap, but not quite as cheap as Budapest! And it’s not just drinks that are cheap – the entire cost of a trip tends to be lower in Budapest. The survey also looked at the cost of an evening meal with drinks, two nights accommodation, a sightseeing trip and city transport for the two days. In Budapest, the total came to £117, with Prague coming in at £136. However, prices in Prague had fallen by 17% compared to previous years. So yes, Budapest is cheaper than Prague, though there’s not that much in it, and compared to other European cities, both are ideal for anyone on a budget. 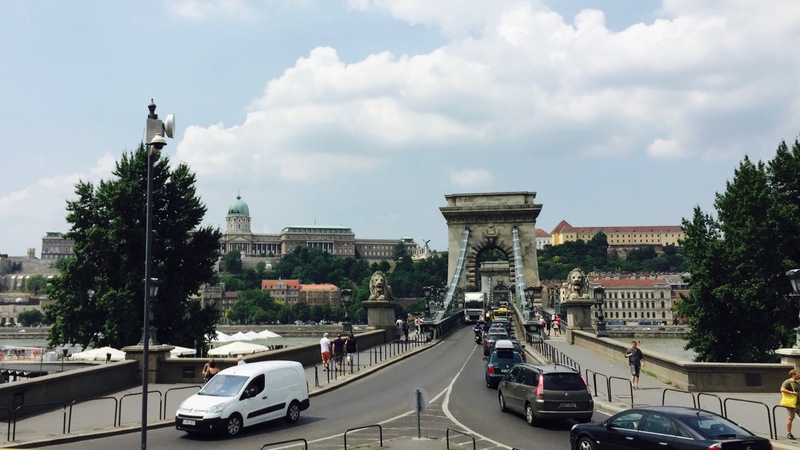 Which would you choose – Budapest or Prague? Have you been to both cities and have a real preference for one verses the other? Share your thoughts in the comments below!